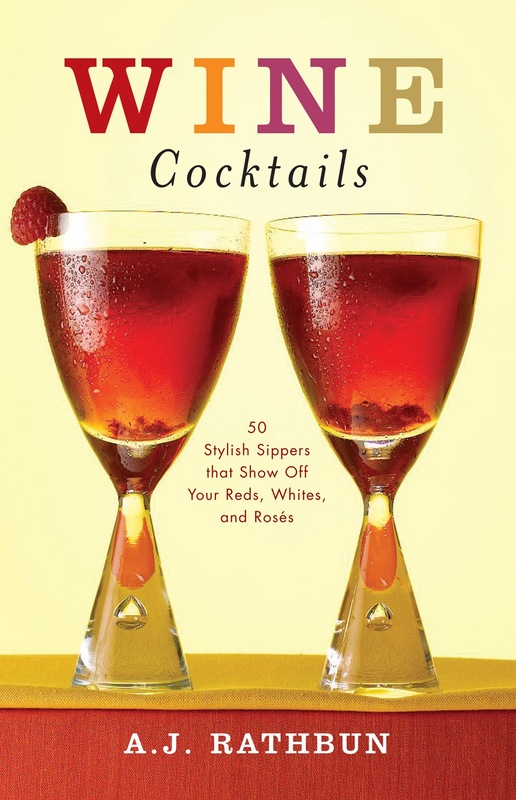 When I first heard the term, "Winetails," I was intrigued. As a fan of Hans Christian Anderson I had visuals of grown-ups all snuggly with their blankies and glasses of wine listening to stories about the handsome French bottle of Château Pétrus on his white steed saving his princess from the mean old $7.99 box of White Zinfandel. Then I read a wine blog talking about making a winetail out of an expensive bottle of Walla Walla wine and I thought to myself, "Are you freakin' effing nuts?" Okay, so I am slowly changing my mind, but I still think you are freakin' effing nuts if you make a winetail out of an expensive bottle of wine. And the point of using a $30 bottle of wine for a winetail is to make the wine taste better? Huh? 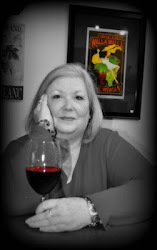 However, I have trusted Denise Slattery of Trio Vintners to talk me down from my soapbox as she tells me how yummy winetails can be - - and I am thinking with the holiday season here, what a perfect time to start "mixin' and shakin'!" 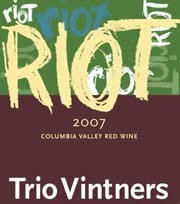 Here is a winetail that Denise recommends and she uses Trio Vintners 2007 Riot (note the clever anagram for "riot"). Riot is a red blend of 53% Sangiovese, 36% Syrah, and 12% Mourvedre at a great price of $18! Denise uses their red blend instead of the suggested Italian Chianti (Sangiovese) for this pretty red and festive winetail known as the Santa Barbara. Santa Barbara: Ice cubes, 1 oz fresh lemon juice, 1 oz Simple Syrup (see recipe below), 2 oz Triple Sec, 3 oz Trio Vintners 2007 Riot, and 2 lemon twists for garnish. Fill a cocktail shaker halfway full with ice cubes. Add everything but the lemon twists, but add them later with a bit of smooth style. Shake well (Again, keep up being stylin' with your shakin' and your shimmy, but remember you are not Shakira or Lady Ga-Ga). Strain the mixture into two cocktail glasses. Twist the lemon slice over each glass and let it slide in without a second glance. Serve immediately. Simple Syrup - 2 1/2 cups water and 3 cups of sugar. Combine water and sugar in a medium-size sauce pan. Bring to boil over med-high heat, stirring occasionaly. Lower the heat a bit, keeping the mixture at a low boil for five minutes. Turn off the heat and let syrup completely cool. Store in airtight container in refrigerator. Makes 41/2 cups. "It's a joy to have this cocktail connoisseur come over to our side to play. Wine lovers everywhere will enjoy mixing up a party with A.J. 's guidance." - Steve Michener, Winemaker, Trio Vintners. Hooray for new ways to enjoy wine! Thanks Catie for spreading the word on this one. I was dubious - but my first introduction to wine cocktails was at the amazing jimgermanbar in Waitsburg and I have never looked back since. Cheers! Thanks Denise for checking in! jimgermanbar you say was your first introduction? 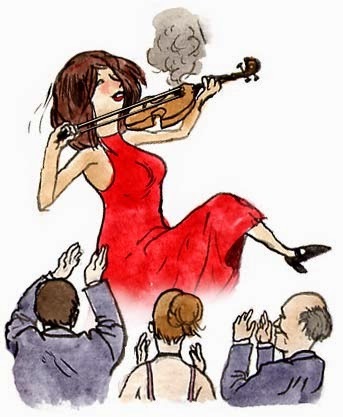 Well, then that really does carry clout. Jimmy German really knows how to make a cocktail! If you can't trust him, there aint nobody you can trust!